PTron Tangent features a 140mAh battery that is said to deliver up to 6 hours of audio playback in a single charge. PTron has launched its latest PTron Tangent Pro earphone in India priced at Rs 999. The earphone features an in-built mic with multifunction buttons and comes equipped with a 140mAh battery that is said to deliver up to 6 hours of audio playback in a single charge. Description automatically generatedTaking consumer feedback into consideration, Tangent Pro is the all new in-ear headphones with an ultra-flexible high-quality neckband. It rests on user’s neck with adjustable length feature which ensures they enjoy listening to the favourite playlist or podcast or simply talk while working, jogging or travelling. Commenting on its newest addition to the audio products, Mr. Ameen Khwaja, Founder & CEO- PTron said, “Tangent Pro is a top-notch set of earphones made by taking into account customer feedback and giving them what they really want. The design, specifications and colour are all in sync with the music lovers of the Gen Z. When it comes to new tech in audio, we want to ensure making top quality products accessible and affordable to majority of Indians”. how many hours do these phones provide us? 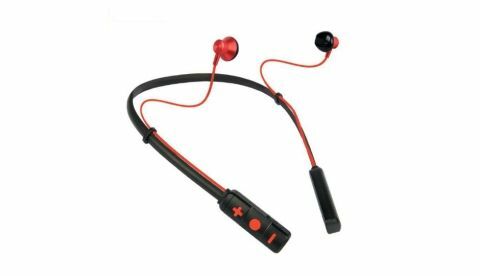 Which is the best Bluetooth earphone under Rs.1500/-? ?